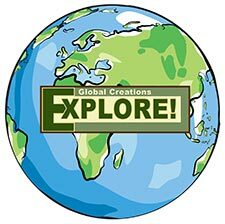 Outdoor News June 29, 2018 - Explore! 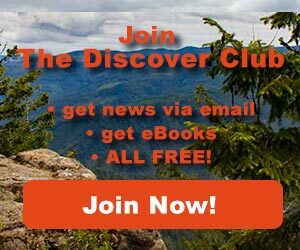 Outdoor News June 29, 2018 - Explore! On Sunday, June 24th, the pilot, National Park Service (NPS) helitack crew and climbing rangers, attached to the Mount Rainier National Park-based rescue helicopter successfully completed a rescue in each of the three large national parks in Washington State in a single day. At 9:00 am, a call came into the North Cascades National Park Communication Center reporting a backpacker with respiratory distress in the northwest section of the park wilderness. By midday the clouds had lifted, creating the necessary visibility to include the helicopter in the rescue operation. Working with the North Cascades National Park climbing rangers the crew performed a short-haul rescue of the 18 year-old ill patient, evacuating him to Marblemount from where he was transported to the hospital. The pilot and crew then responded to Olympic National Park to perform a medical evacuation in the late afternoon of a visitor who had gotten lost after going out for a day hike on Tuesday. On Saturday afternoon park dispatch received a call from a hiker who had encountered the 55 year old man and reported he was in need of medical attention. Olympic National Park rangers contacted the lost hiker at 2:30 am on Sunday morning after six days in the backcountry. The man was too weak to travel and the terrain proved very difficult for ground-based rescue. The patient was evacuated via the park helicopter to the local hospital. During the evening helicopter flight back home to Mount Rainier National Park, an emergency beacon activation from injured climbers on Mount Rainier's Liberty Ridge was received. Incident staff briefed the crew while in flight. The crew made a slight shift in its course to perform a reconnaissance at about 9,500 feet on the steep ridge where the climbers waited for rescue. An additional Mount Rainier climbing ranger was picked up to help perform the evacuation of the injured climbers. Just before 9:00 pm, the ship landed back at its home base, with the injured climbers. 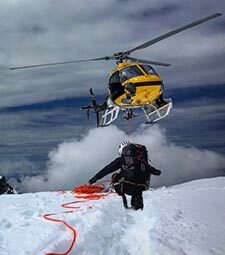 Mount Rainier began its helitack program in 2015 when it initiated a 120-day annual exclusive use contract for an Airbus AS350 B3 helicopter to allow Mount Rainier climbing rangers to perform short-haul helicopter rescue operations. Mount Rainier, North Cascades, and Olympic national parks now share a dedicated short-haul rescue helicopter on contract for the summer season. The three parks train together and have worked to hone their communication to allow for the interoperability witnessed on Sunday. The parks’ exclusive use rescue helicopter is owned, piloted, and maintained by Helicopter Express, Inc. based in Chamblee, Georgia. This coverage is in addition to the National Park Service’s long-lived relationship with the U.S. Army Reserve, Navy, Coast Guard, and Air Force which also perform helicopter rescues in the parks and served as contingency resources during the recent rescues. The NPS utilizes helicopter search and rescue for those cases demanding this specialized resource. Far more ground-based searches and rescues occur at national parks every year than those in which helicopters are employed. In the 24-hour period during which the most recent helicopter rescue took place, several other ground-based personnel-intensive rescues were also successfully accomplished in these parks. “I’m proud of the way our parks are working together as evidenced by this past weekend’s successful outcomes”, said Mount Rainier National Park Superintendent, Chip Jenkins. “This happens through hard work and time spent together building skills and relationships”. 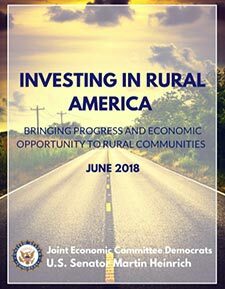 A Joint Economic Committee Democrats' report that examines the current state of the rural economy, proposes policies that could revitalize rural communities and help them thrive in the 21st century. The report, “Investing in Rural America,” looks at several aspects of the rural economy including infrastructure, family financial security, housing, clean energy and public lands, health care, and agriculture. The report was spearheaded by Senator Martin Heinrich (D-NM) who is the ranking member of the Joint Economic Committee. Wednesday, the Outdoor Recreation Roundtable (ORR) praised the report for its references to the importance of outdoor recreation to the economic health of rural America. The report concludes that making key investments in expanding outdoor recreation access will lead to growth in rural jobs, population, spending, tourism and income levels. In addition, expanded access to outdoor recreation will boost sectors such as lodging, food and beverage, and gas and oil. June 27, 2018 ALBUQUERQUE, N. M. – Conservationists are alarmed that only three months remain before one of the nation's most popular conservation programs could end because Congress has not acted. The program doesn't rely on taxpayer dollars; rather, it is funded by federal oil royalties from offshore drilling in public waters. "It's an immensely successful program, which has provided funds to nearly every county in New Mexico, and the United States, to conserve public open space," Udall said. Outdoor recreation contributes $9.9 billion to New Mexico's economy and supports nearly 100,000 jobs in the state. Carrie Hamblen, Las Cruces Green Chamber of Commerce president and CEO, says funding from the program has helped make public land more accessible, allowed the state to maintain outdoor recreation areas, and helped many of the state's cities and towns. "The Land and Water Conservation Fund has helped create spaces in their communities that add to the quality of life, help local businesses and also, in some cases, helped drive tourism," Hamblen said. These funds also have helped correct the widespread issue of "checkerboarded" land. For example, in 2005, LWCF funding helped purchase the last 13 acres needed to complete the first phase of development at the Mesilla Valley Bosque State Park. "In New Mexico, we rely heavily on outdoor recreation as an economic boost for our community," said Barraz, "and on top of that, it also helps provide funding for our state and local parks like – for swimming pools, playgrounds." 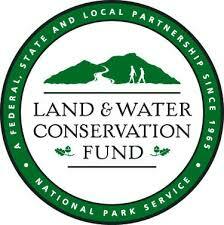 Conservationists also want Congress to fully fund LWCF, at $900 million. That has only happened twice in the fund's history, with funding fluctuating year to year because money is more often reallocated for other purposes. 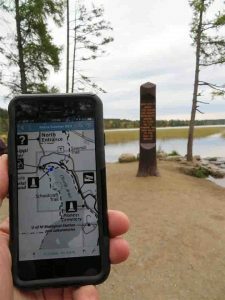 Navigating Minnesota’s woods and waters with a mobile device is now easier than ever with new digital maps available from the Minnesota Department of Natural Resources. Instructions on how to download the application and map can be found on the DNR website. For more information, visit the DNR website or contact the DNR Information Center by emailing info.dnr@state.mn.us or by calling 888-646-6367 (8 a.m.-8 p.m. Monday through Friday, 9 a.m.-1 p.m. Saturday). Yesterday Parks Canada announced that the Government of Canada recognizes the Outstanding Universal Value of Canada's18 UNESCO World Heritage Sites, including Wood Buffalo National Park, and is committed to their ongoing protection. The Minister of Environment and Climate Change and Minister responsible for Parks Canada, Catherine McKenna, announced $27.5 million in funding over five years to support the development of an action plan to secure the future of Wood Buffalo National Park World Heritage Site. The investment comes after recommendations in 2017 from the World Heritage Committee, which oversees UNESCO World Heritage Sites, and takes concrete steps to address the recommendations of a recent reactive monitoring mission to Wood Buffalo National Park. This funding will further support Canada's response to the World Heritage Committee in the requested timelines as part of the Government's ongoing commitment to protecting Canada's heritage places now, and for future generations. Work is already well underway. Recently, the Strategic Environmental Assessment (SEA) for Wood Buffalo National Park World Heritage Site was completed in fulfillment of the World Heritage Committee request to undertake such an assessment. 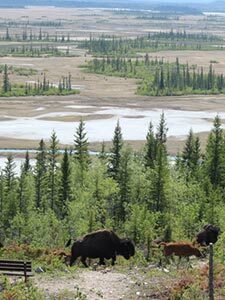 The SEA identifies potential cumulative impacts to the Outstanding Universal Value of Wood Buffalo National Park World Heritage Site and is a key component that will inform the action plan. The Government of Canada is leading a collaborative effort with the Governments of Alberta, British Columbia, and the Northwest Territories, in partnership with Indigenous organizations, which all have areas of responsibility in the development of the action plan, and with other stakeholders. Development of the action plan will build on existing efforts by the various partners, and will also address other important issues such as enhanced focus on community-based monitoring. Through this collaboration, all partners will continue to work to preserve the Outstanding Universal Value of Wood Buffalo National Park ?and address the important issues identified by the World Heritage Committee. The new funding will be allocated from Budget 2018, which made a historic $1.3 billion investment in Canada's nature, parks, and wild spaces. Ms McKenna stated, "As I have said many times before, the findings and recommendations of the UNESCO World Heritage Committee represent an important call to action. Today, our Government continues to take action with this new, substantial, and long term investment. Our commitment is real and we will continue to work with all of our provincial, territorial, and Indigenous partners to secure the future of the Wood Buffalo National Park World Heritage Site for generations to come." Save Up to 50% Off ALPS Mountaineering Hiking & Camping Gear at Backcountry.com. Deal ends July 31! Fourth of July sale. Use code GoFouth to get 20% Off at My Trail Co. Deal ends July 4! 4th of July Sale – Save Up to 40% Off the Best Gear for the Summer at Backcountry.com. Deal ends July 5! Happy Independence Day! Get 17.76% off sitewide with code SPARKLER at AcuRite.com. Sale ends 7/4. This week's video is about Wood Buffalo National Park. You'll see lots of wildlife and great scenery. Plus, you'll learn a lot about the wildlife, geology and culture of the park. The park is located in Alberta and the Northwest Territories of Canada.